I love serving salmon for dinner. Not only is it one of my favourite fish to eat, but it’s so healthy and full of all the good stuff like Omega-3 and protein. Salmon is easy to cook and perfect over a simple salad or coupled with seasonal vegetables, roasted, steamed or raw – yum! Salmon Quinoa Fritters is an easy recipe to put together, while the quinoa is cooking chop the salmon into small pieces, cook the spring onions and spinach and add the rest of the ingredients to a bowl. Mix, then cook fritter patties on a frypan until golden. Finely chop the remaining salmon fillets into very small pieces, add to bowl. Heat a small nonstick frying pan over medium heat, add the oil and saute onions for 2-3 minutes, add spinach and cook until wilted for an additional 1-2 minutes, add onion mix to the bowl with salmon. Heat a nonstick frying pan over medium heat, add oil. Fill a 1/3 cup with mixture, drop onto the hot frying pan, flatten patties slightly. Cook patties for 3-5 minutes, turning gently cook for a further few minutes until golden. Serve with salad and drizzle with lemon. 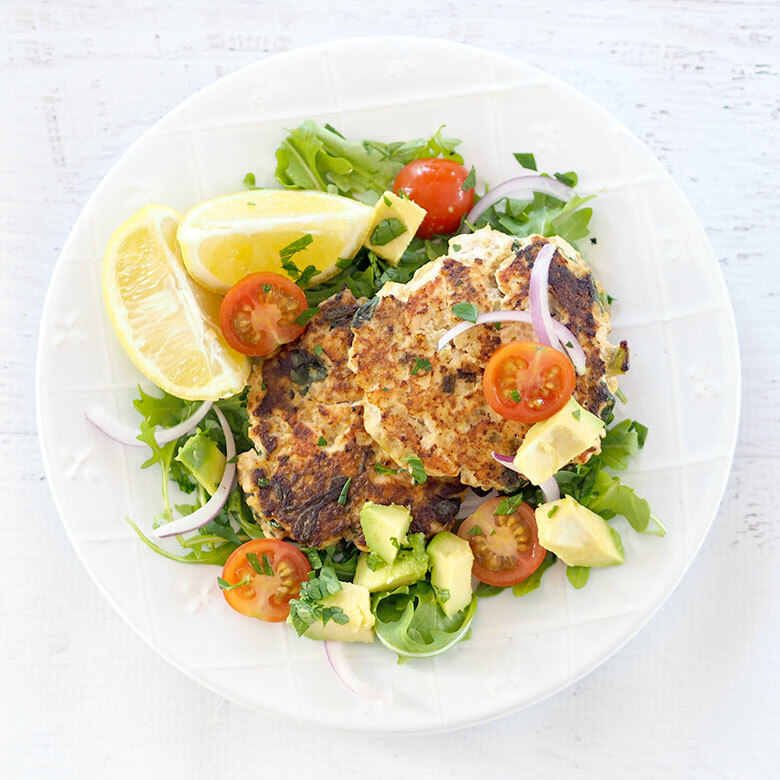 These Salmon Quinoa Fritters are perfect for either lunch or dinner, served with salad and if you have left overs the next day you could create a burger! Another great idea is to make a few smaller bite-size fritters and add them to the kids’ lunchboxes! 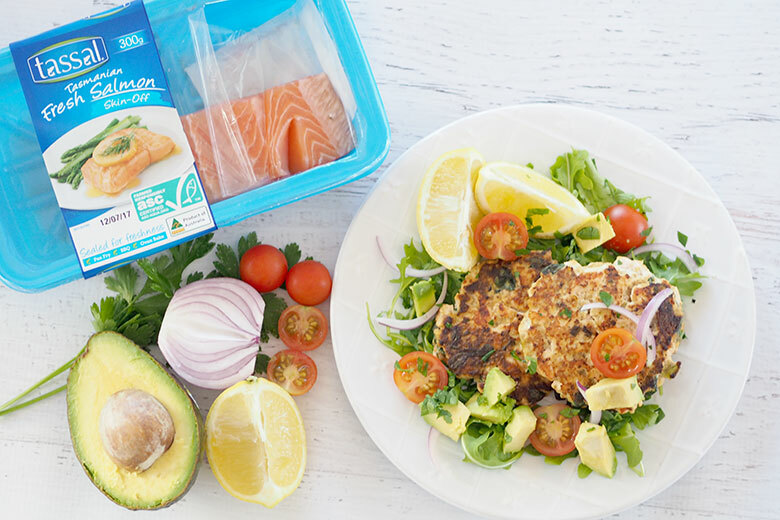 Tassal’s new Fresh Salmon range is sealed for freshness and can be found in convenient 300g fixed-weight pack sizes at Woolworth’s supermarkets. They are super handy if you are a busy family on-the-go and looking for a natural super food for lunch or dinner. 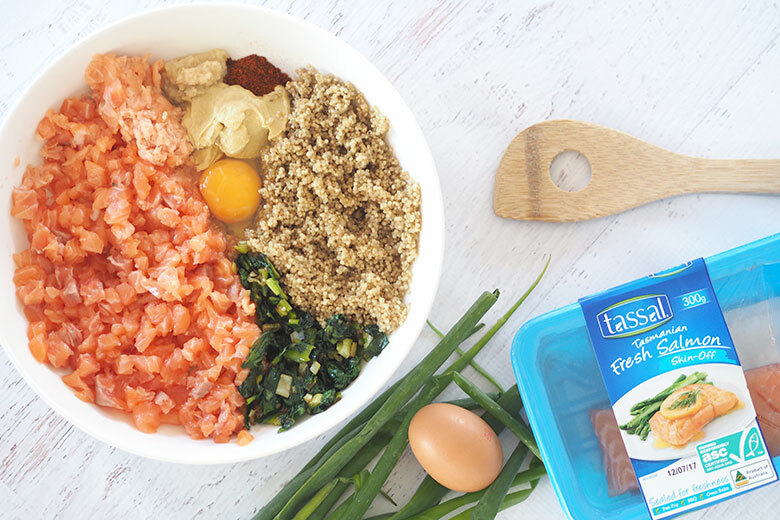 You can enjoy Tassal Salmon with the whole family knowing it contains natural omega-3 fats and a wide range of essential D and B vitamins and minerals. 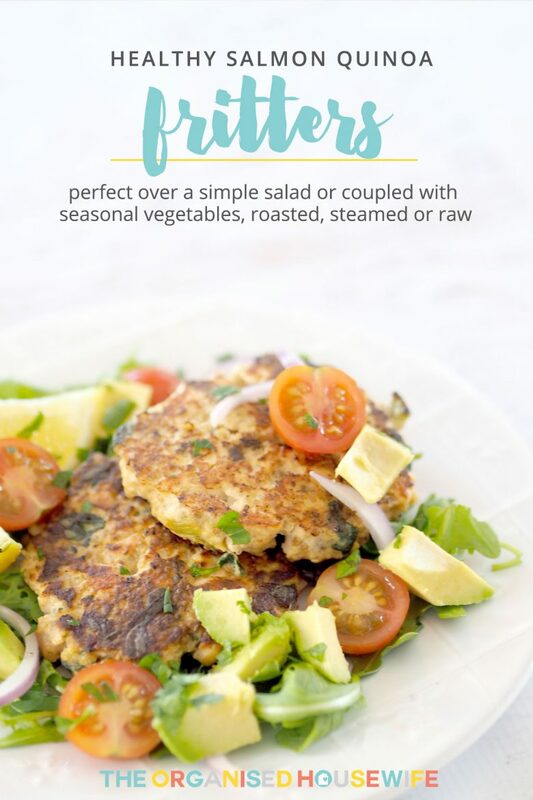 I’ve made these Salmon Quinoa fritters often for lunches on weekends for the family and we usually serve it with Salad, but I can imagine my garlic parmesan zucchini and tomato bake would be ideal with this dish to make it a warm dinner for the family. These look absolutely amazing. Adding it onto my list of things to make and instead of making extras for the kids I might keep them for myself to have for lunch the next day. 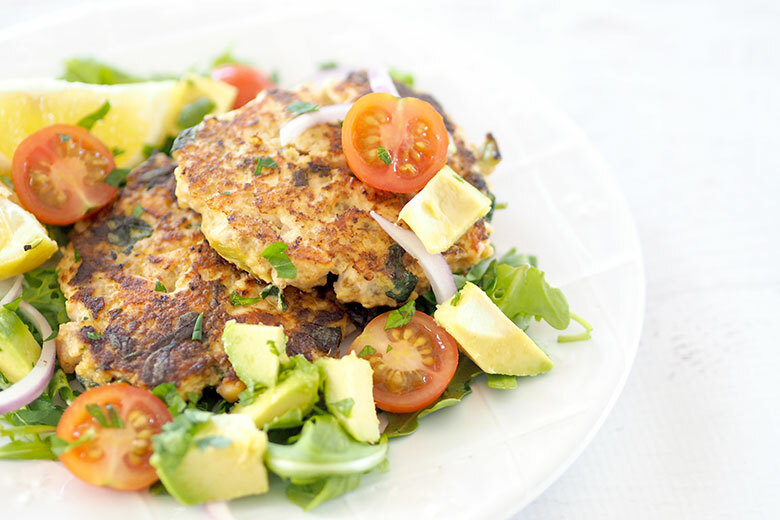 I love your zucchini quinoa fritters so I am sure going to try these. Thanks Kat. That’s lovely to hear Jill 🙂 Hopefully these are just as good!